Last month I wrote that the most intriguing storyline WWE had going was the roster’s quest to take out Seth Rollins. I mentioned that the worst case scenario would involve Rollins meeting his demise in a non-main event storyline. Well, welcome to TLC (Tables, Ladders, Chairs). Seth Rollins v. John Cena in a tables match will likely be the main event of Sunday’s pay-per-view, but this is by no means a main event storyline. In fact, the only storyline since Survivor Series has been that Team Cena and Team Authority are just going to keep fighting for a while, which is especially weird given that the two teams were assembled for the sole purpose of settling a feud between John Cena and the Authority, and that feud was settled. So Sunday’s TLC is essentially Survivor Series with no stakes. That’s sub-optimal. WWE is in a pretty weird place right now, like a friend who graduated from college three years ago but keeps bouncing between part-time jobs and grad school applications, and you’re starting to worry about his drinking. In its defense, The talent pool is so shallow that WWE is pulling 4 high-profile matches and a possible surprise appearance (Reigns) out of the six guys from 2014’s match of the year (Shield v. Wyatts at Elimination Chamber). The Shield and the Wyatt Family have capitalized on the opportunities created by their splits, but both splits (especially the Wyatts’) felt rushed. Making matters worse (and probably prompting the aforementioned faction splits), most of the stars of Wrestlemania – Daniel Bryan, Triple H, Batista, Randy Orton, Brock Lesnar, the Undertaker, Cesaro – are not going to be on Sunday’s show. Lesnar and Bryan are the most frustrating of the two missing stars. Bryan’s win at Wrestlemania was one of the great stories in WWE history, but he only managed one title defense before going out with a severe neck injury. That would be bad by itself, but unfortunately the WWE built his career-defining Wrestlemania storyline around The Authority’s belief that he was incapable of carrying the company. Now that his body broke down under the pressure of being champion for a month….well, it will be tough for the audience to truly believe in him again when he returns. While Bryan was stripped of the title after not being able to defend it for six weeks, Lesnar last defended the title in September…and hasn’t even appeared on WWE programming since. I don’t ask for strict adherence to logic in professional wrestling, but it would be nice if there was at least some acknowledgment that the champion is enjoying an unprecedented reprieve from the obligations of defending the title. Throw me something: Paul Heyman negotiated this into his contract; Lesnar threatened to take the title back to UFC if he didn’t get additional time off; diverticulitis. I’d take any of them. Instead, we are left with the distinct impression that the WWE Champion doesn’t really care about being WWE Champion. Which would be a great storyline if anyone communicated any semblance of that to the audience. John Cena v. Seth Rollins (Tables Match). Ryback v. Kane (Chairs Match). Dolph Ziggler v. Luke Harper (Ladder Match). Erick Rowan v. Big Show (Stairs Match). 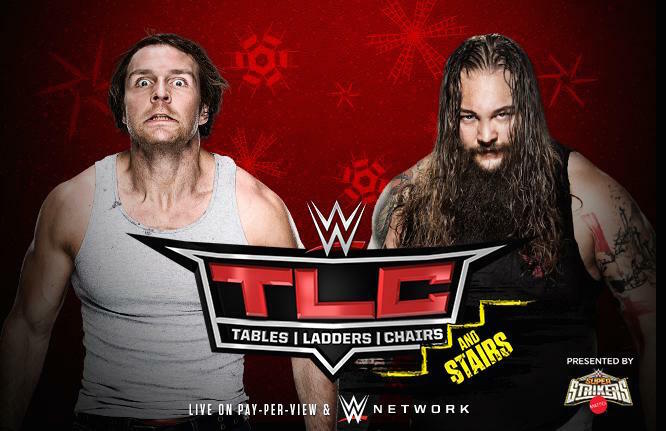 Dean Ambrose v. Bray Wyatt (Tables, Ladders and Chairs Match) (OK, this one should be spectacular). AJ Lee v. Nikki Bella. Miz and Mizdow v. The Usos. So yeah…you could just replay Survivor Series on Sunday, which would at least guarantee you a surprise appearance from Sting. Otherwise, I can’t blame you if you decide to sit this one out and wait for my Royal Rumble preview, in which I breathlessly rave about Finn Balor entering the Royal Rumble and saving wrestling. 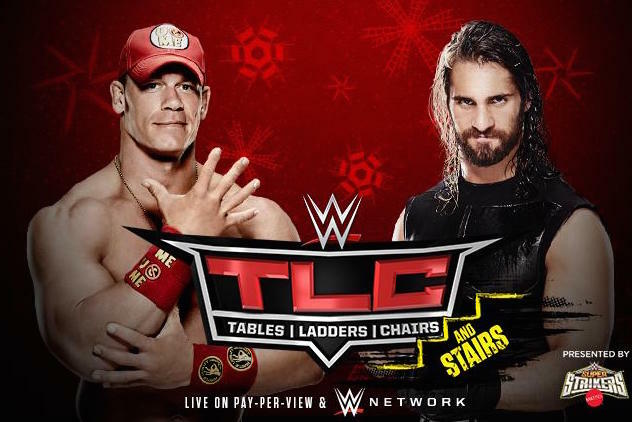 WWE Raw – December 8th, 2014 Results!! This entry was posted on Friday, December 12th, 2014 at 11:18 am	and is filed under Events, News, Television. You can follow any responses to this entry through the RSS 2.0 feed. You can skip to the end and leave a response. Pinging is currently not allowed. I’m so glad you pointed out Lesnar’s absence and him still holding the championship, whereas Bryan was stripped of his. The diverticulitis angle would be solid. I disagree. With the the Authority gone, why wouldn’t its remnants stick together? Their protection is gone and now they only have one another. To me it makes sense that they would still be fighting. They are fighting for their survival. They have huge targets on their backs now that mommy and daddy are out of the picture. While Seth’s storyline isnt as intriuging as Dean’s (i will forever blame Cena..) it is not without its high stakes. WHEN Seth wins, Cena will no longer be #1 contender for Brock’s championship. seems like high stakes to me if you are at all a fan of Cena. Speaking of Brock, I like that he’s not on as much. And totally okay that the championship hasnt been defended near as much. People only see it as a bad thing. what about looking at it in an absence makes the heart grow fonder? not for Brock, but for the title? By removing it from the screen, WWE has created a demand for it to be defended. Therefore, when it finally is defended, it is now something special vs something that is commonplace and holds no importance. Cena is going to be #1 until he retires. Get used to it. And Seth is the worst wrestler. « Film Review: ‘Exodus: Gods and Kings’! !